What happens when Agnes, a young orphan girl, begins to investigate the secret history of her family? 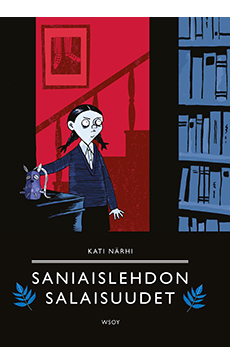 A unique graphic novel about young Agnes, an orphan who lives with her grandmother in a city called Plankton. All manner of horribly shady dealings are concealed behind the town’s pretty facades, such as the trade in organs taking place at an underclothes shop. But can Agnes solve the biggest mystery of all: what happened to her vanished parents? Agnes’ story continues in the next album of the trilogy, The Black Marsh Mystery (WSOY 2012). The series finale, The Seventh Guest, was published by WSOY in 2015.